PINZBOHR features the new BOHRSTAR 54 kits program offering solutions in a wide range of boring diameters, from 6 mm up to 210 mm, using only one boring head. This boring head is radially adjusted with a read out precision of 0.002 mm in diameter and fits a set of components available either with rhombic or triangular insert pocket. 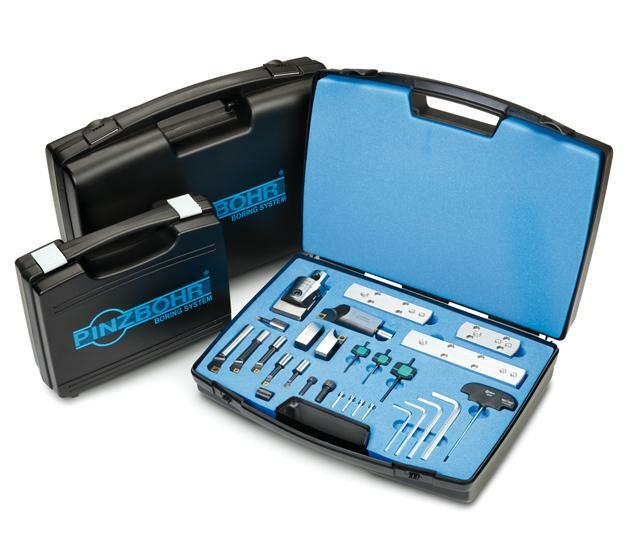 In addition, kits can be chosen among different diameter ranges, meeting the needs of each user and turning BOHRSTAR 54 kits into the ideal solution for prototyping, tooling and repairing manufacturers.